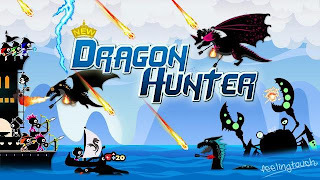 Want to be a dragon hunter? Challenge this tower defense game from Feelingtouch Inc. Attack dragons to guard your castle. * shoot arrows by moving your fingers on the screen. * earn coins when kill dragons. * collect food use your boat after dragon dead. * use coins to upgrade your arrow, magic power and other property. * use your mages to kill them all. * Weapons like arrow,poison arrow and dizzy arrow. increase your arrow power and arrow numbers. * Repairman that repair your wounded castle. use coins to recruit more repairman to speed up. * Food, Coins and Hunters. hunters will consume food every stage and game over if food not enough. * Magic like Fire mage, Ice mage, Wind mage and light mage, increase your magic power. * Boss with 3 different weapon and magic.